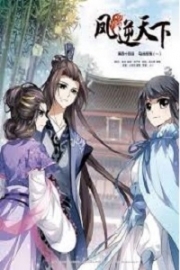 You’re reading novel Chaotic Sword God Chapter 478 - Returning to Walaurent City online at LightNovelFree.com. Please use the follow button to get notification about the latest chapter next time when you visit LightNovelFree.com. Use F11 button to read novel in full-screen(PC only). Drop by anytime you want to read free – fast – latest novel. It’s great if you could leave a comment, share your opinion about the new chapters, new novel with others on the internet. We’ll do our best to bring you the finest, latest novel everyday. Enjoy! Leaving the inn, Jian Chen flew to the exit of Lore City and headed in the direction of the area where Cao Keqin was fiddling with whatever had to be done ten kilometers away. Jian Chen took the crystal from Cao Keqin and began to study it. It was a sphere-like crystal that sparkled in a way similar to how light would s.h.i.+ne through gla.s.s. There was also a strange type of energy swirling within that Jian Chen had never seen before. Putting the crystal within his s.p.a.ce Ring, Jian Chen and Cao Keqin left to return to Lore City. On the second morning, Jian Chen bid farewell to his clan and left the Gesun Kingdom with the white tiger cub. Bi Yuntian had been extremely reluctant to part with her child, but she knew that his task right now was not a simple one. With tears, she bade farewell to her son. The second day after Jian Chen had left the Gesun Kingdom, six pale-faced, raggedy Heaven Saint Masters fell back down to the middle of the imperial palace of the Heavenly Eagle Kingdom. The guards at the palace had instantly recognized their group and saluted them straight away before running off to report to the king. The six men burst into the palace halls and sat down in their chairs. Several men had extremely serious faces and sat there without a word, but the depressing aura around them was quite palpable. Soon enough, the crisp sound of laughter could be heard from outside. Laughing, the king of the Heavenly Eagle Kingdom came walking in. The glittering smile on his face emphasized just how cheerful he was. But the six men sat there without a word; not a single one had answered the king. When the king strode into the halls, he noticed that the atmosphere within the area wasn’t right. Looking curiously at the six men seated nearby, he noticed that they were pale in the face and were depressed as well. Immediately, the smile on his face disappeared as his mood dropped. From the expression of the six, the king could roughly guess that the end results had not been at all like he expected. The king was stunned into silence as he listened. His entire body became paralyzed; this type of result was something he simply could not imagine in a thousand years. He never thought that with ten Heaven Saint Masters sent to the Gesun Kingdom, they would be beaten. Not only that, but four of them had been killed and the rest were lucky to escape. “Your Highness, we suspect that the five Heaven Saint Masters residing within the Changyang clan were in fact the five Imperial Advisors from the Qinhuang Kingdom. Only they would have so much strength like that.” The red-haired man spoke with difficulty. “I can only hope our suspicions are wrong.” The red-haired man sighed. In the blink of an eye, many had pa.s.sed days since Jian Chen had left the Gesun Kingdom. After traveling for so many days, he had finally arrived back at Walaurent City. Walaurent City was located within the Zhuya Kingdom and was the city that Jian Chen had met Qin Xiao. He and Qin Xiao hadn’t seen each other for half a year already, so he had begun to miss him. Thus, he would take this chance to go see him first. There had been no noticeable changes to Walaurent City since the last time Jian Chen was here. It had been one and the same, and from the moment Jian Chen walked into the city, the area all around him flashed back in his mind to the day when Ming Dong and he first arrived. This caused his expression to be quite absent-minded. Subconsciously, Jian Chen arrived at the giant gates leading to the Tianqin clan. He was prepared to walk right in when the guards standing by the side stopped him from getting too close. “Halt, this is the residence of the Tianqin clan, outsiders are not allowed in.” The guard spoke in a stale voice as he looked at Jian Chen. Jian Chen’s eyebrows furrowed together, but just as he was about to speak, a carriage suddenly came traveling forward at high speeds. Right above the carriage was a single banner with the word, “Qin”. Quickly, the carriage stopped right in front of the Tianqin clan compound. A single white-colored dress wearing woman with a delicate figure came stepping out of the carriage. Although her face was covered, it did not take much to guess that her appearance befitted that of a woman capable of bringing down a country with her beauty. The woman stepped off the carriage, and the moment she saw Jian Chen, a look of confusion overcame her face. Shortly after, a look of shock overcame her look of confusion and asked, “If I may ask, are you lord Jian Chen?” The woman’s voice was extremely light and was like the singing of a skylark. 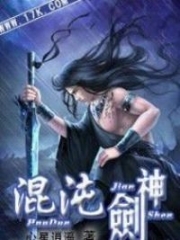 You're reading novel Chaotic Sword God Chapter 478 - Returning to Walaurent City online at LightNovelFree.com. You can use the follow function to bookmark your favorite novel ( Only for registered users ). If you find any errors ( broken links, can't load photos, etc.. ), Please let us know so we can fix it as soon as possible. And when you start a conversation or debate about a certain topic with other people, please do not offend them just because you don't like their opinions. You're reading Chaotic Sword God Chapter 478 - Returning to Walaurent City. This novel has been translated by Updating. 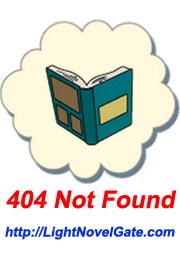 Author: Xin Xing Xiao Yao already has 11877 views. Current Time is Apr-23-2019 00:12:04 AM.